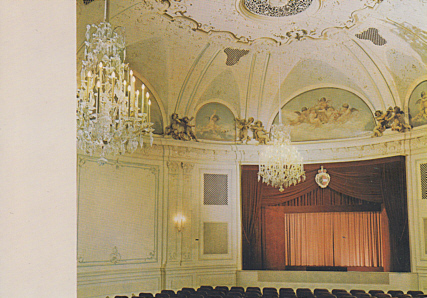 Puppet theatre, opened 1971 in the former "Hotel Mirabell". 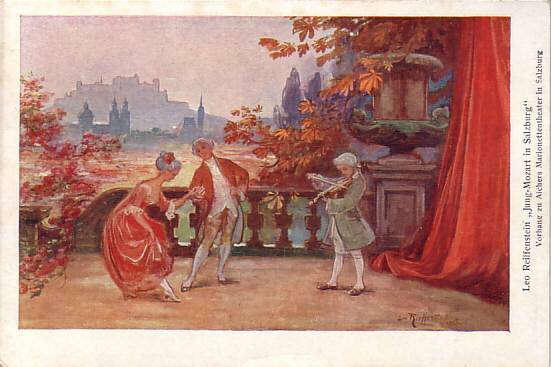 Mainly used for performances of Mozart operas by the resident company (founded in 1913). 350 seats. Reverse Text: "Salzburger Marionetten-Theater. Zuschauerraum"